Released in 2007, and void of any flash and pretense, the Movado Fiero Men’s watch is one of their finer creations. Having left behind the circular dial of the Museum watch, the men’s Fiero offers a slightly curved rectangular architecture. 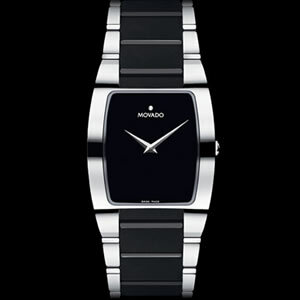 Priced at $1,500, Movado’s Fiero watch is both sophisticated and elegant. It does present a sleek black dial, adorned only by a single silver cabochon marker, just above the Movado name, and sword like arms. The case is larger, than in most Movado models, and matches perfectly with the connection of the strap, which is crafted in a two toned silver and black tungsten link. While some may call this man’s timepiece plain, they are missing the unique qualities only found in a minimalistic design. Only in minimalism must you look at the lines and the reliefs. Only, when you are not distracted, by extravagant embellishments are you able to appreciate the essence of the design and its purity. 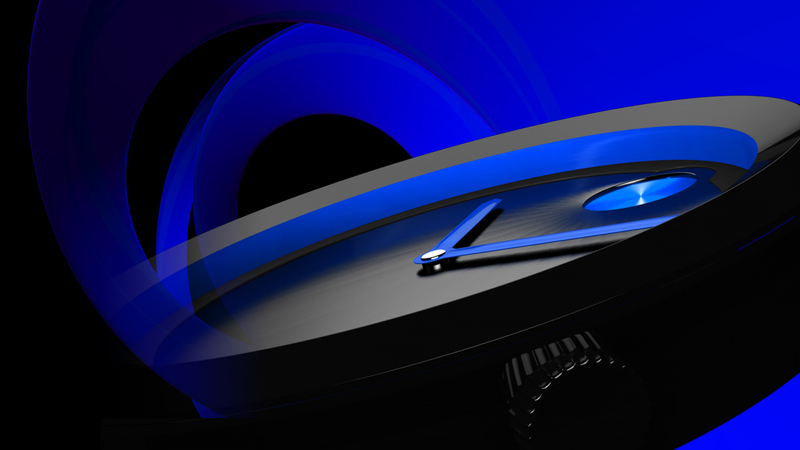 Movado, in their mastery of this art form has crafted the Fiero with long lasting appeal. As with many of their designs, the men’s Fiero collection will be in style for years to come, simply because there is no trend followed, nothing to tire of…just pure, simple, beautiful, design.